Book 3 days of scuba diving with us and receive a 10% discount, or book 5 days and receive a 15% discount on the total price of your Krabi day trips. 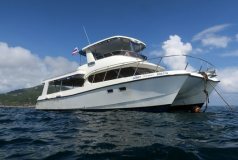 You do NOT need to pay the full amount in advance when you book your Ao Nang - Krabi dive daytrips with us. We require only a 20% deposit to confirm your booking, and you can just pay the balance upon your arrival. 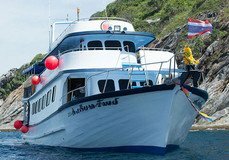 Krabi diving day tours normally start with your hotel pick up at 7-7:45 hrs, and return to your hotel at around 17-18:00 hrs, depending on dive site distance and the number of dives in the day. 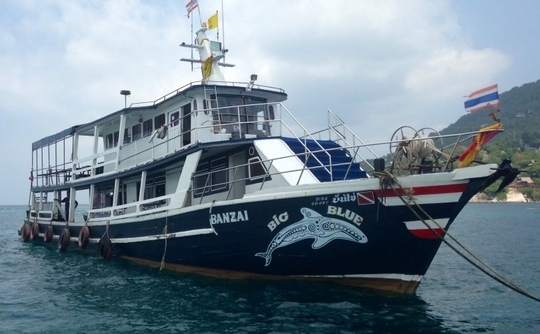 The dive boat carries up to 20 scuba divers and leaves from Ao Nang Beach. Normal boat journey times range from 45 minutes to 3 hours. For more information on all these dive sites, visit: Krabi dive sites. Krabi or Ao Nang hotel to/from boat transfers, lunch, hot drinks, fresh fruit, drinking water, dives, weights and weight-belts, tanks, professionally qualified divemaster for every 4 divers, and taxes. Rental scuba equipment US$ 19, dive computer US$ 9, dive insurance. Unless otherwise stated, all the listed items need to be paid on arrival. 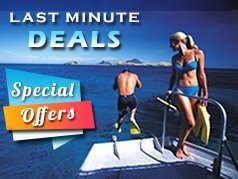 There are no hidden extras in the trip prices quoted to you. Diver experience: All guests must be Advanced Open Water Divers to join day trips to the wrecks, and all guests must have dived within the past 12 months for all trips or they will be required to do a check dive as part of the first dive of the trip. Non-divers and snorkellers US$ 47 per day.